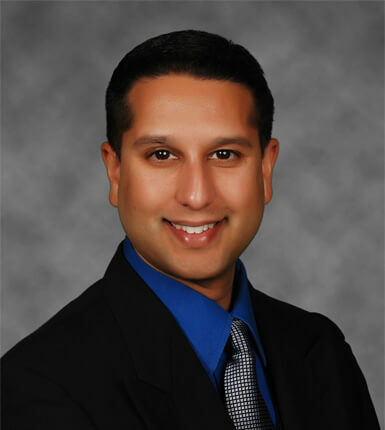 Dr. Choudhry is an active member of numerous medical societies, including the American Medical Association, the Texas Medical Association, the American College of Surgeons, and the Travis County Medical Society among others. Dr. Choudhry is board certified in General Surgery from the American Board of Surgery, and is a Fellow of the American College of Surgeons (F.A.C.S.). In addition to routine general surgery practice, Dr. Choudhry specializes in minimally invasive surgery including robotic procedures, as well as breast, colorectal, hernia and gallbladder surgery. Dr. Choudhry’s wife, Jo Lanee Choudhry, M.D., is an Obstetrician/Gynecologist and practices in Round Rock. She did her undergraduate training and medical training at Texas A&M, and completed her residency in Wichita at the University of Kansas. They both enjoy cultural activities such as Broadway shows and operas, movies, traveling, and spending time with friends and family.